Posted: January 11, 2018 Updated: January 11, 2018 by onlineph | Filed under Internet, SmartPhones, Technology. Sure we have seen a huge improvement with battery life since cellphones had been introduced in the market. 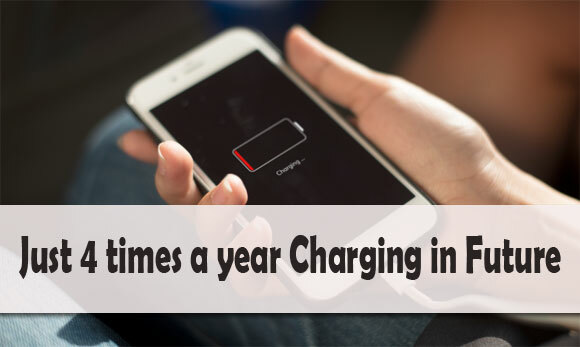 But this next technology can be a game changer, since you may be able to charge your phone just once every three months in the future. Scientists have discovered a new material which allows processors to function using 100 times less energy than the semiconductor-based systems we currently use. Researchers at the Universities of Michigan and Cornell have created a new magnetoelectric multiferroic material formed of thin layers of atoms which make up a magnetically polar film. It can be flipped from positive to negative energy with just a tiny pulse of energy. This principle could then be used to convey binary codes on which computers operate. This means they could send and receive data with just a fraction of electricity. The processors we currently use are built using semiconductor-based systems which need constant flow of electricity. If processors will be built using the newly created material, it would need only short pulses of electricity. According to Ramamoorthy Ramesh, associate laboratory director for energy technologies at Lawrence Berkeley National Laboratory, electronics, such as mobile devices, consume five percent of the total global energy, and continues to rise as the fastest-growing energy consumer. By 2030, it is projected that electronics could consume 40 to 50 percent of global energy, thus this discovery would have a significant impact on our global energy footprint. Furthermore, we just hate having our batteries drained, and losing our connections even if it’s just for a few hours.